We have had reports about people fishing very close to the Red Necked Grebe platforms in the bay and some concerns have been expressed about the potential danger to the nesting birds. 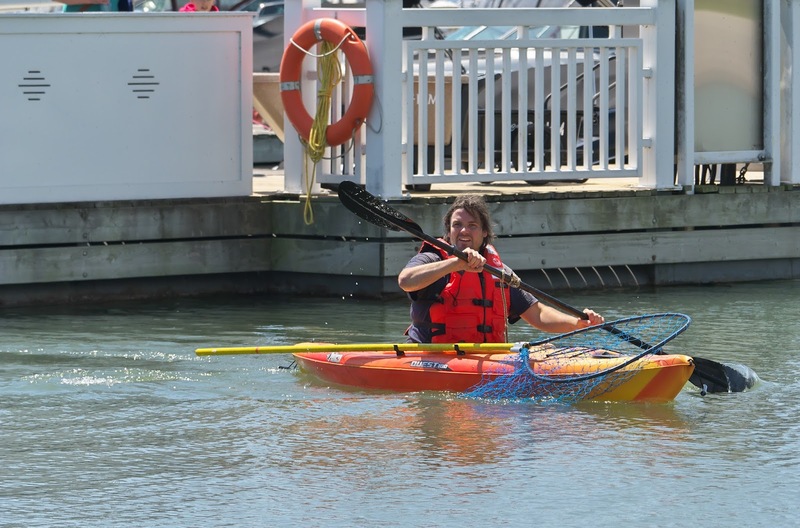 Fishing is legal in Sam Smith Park but harassing or injuring wildlife is not. 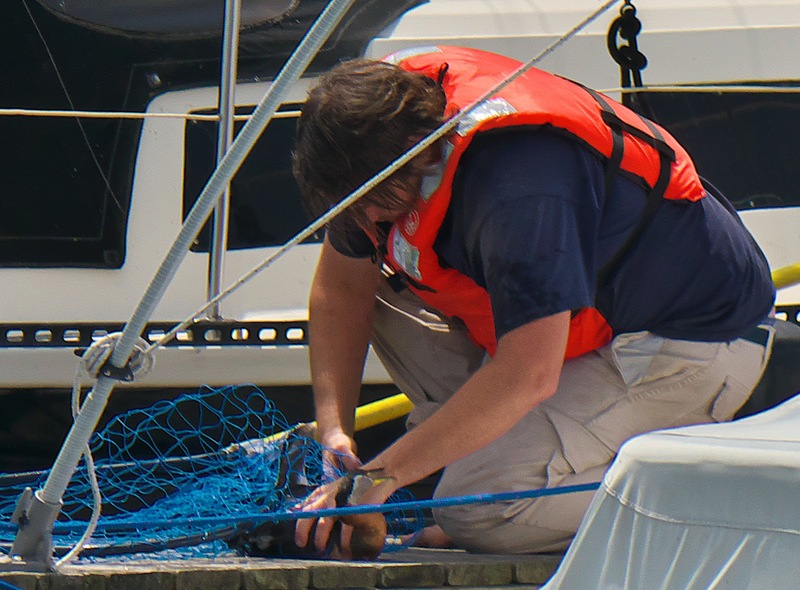 Toronto Animal Services, the enforcement agent, can be reached by phone at 311 or by email. Unfortunately, accidents can happen. 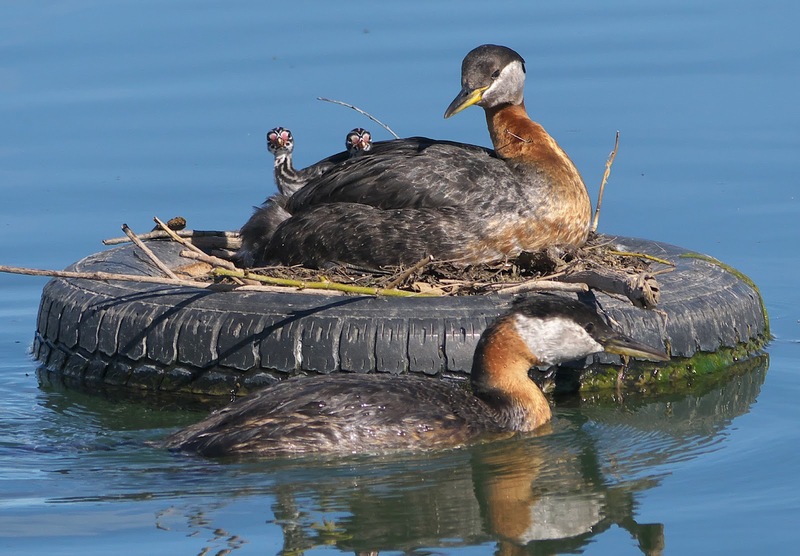 Here's a recent report from a nearby Grebe nesting site with pictures below. 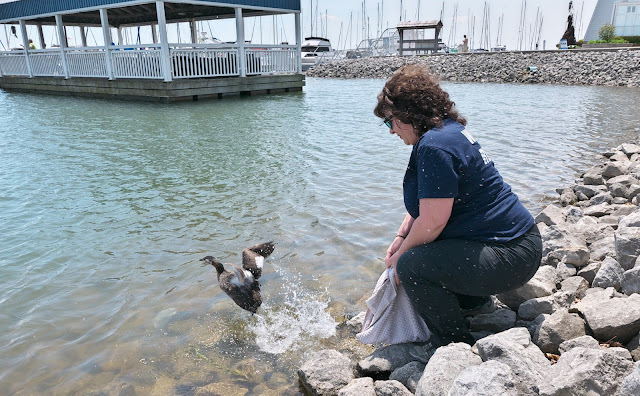 "Toronto Wildlife Centre came to the rescue of a fish hooked Red-necked Grebe at Bronte Harbour today. The whole operation took almost three hours. 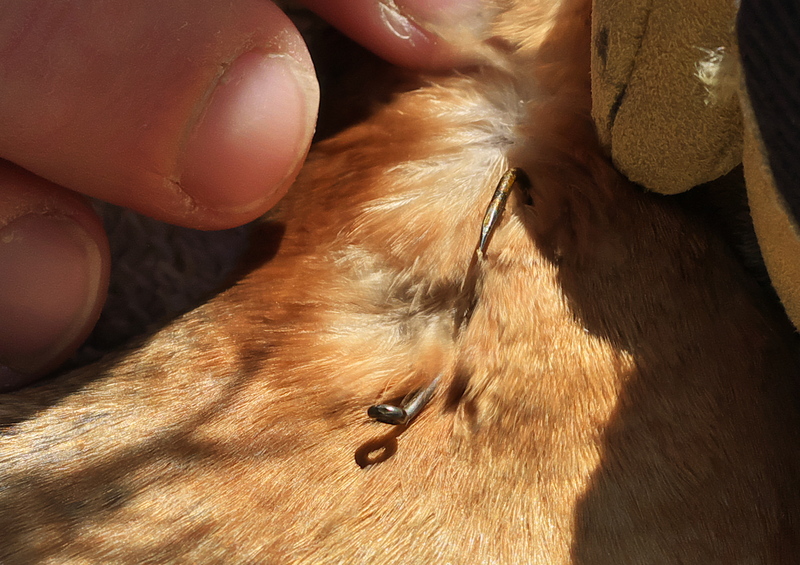 Fortunately, the barb was accessible and could be easily cut off. 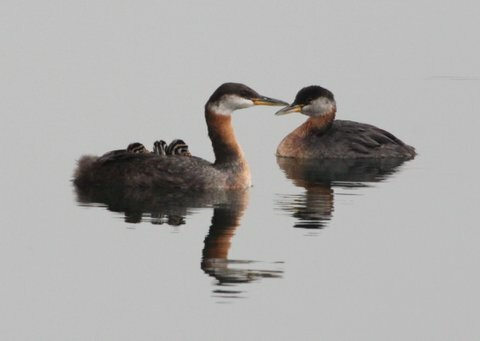 She seemed to behave normally after being returned to the water." 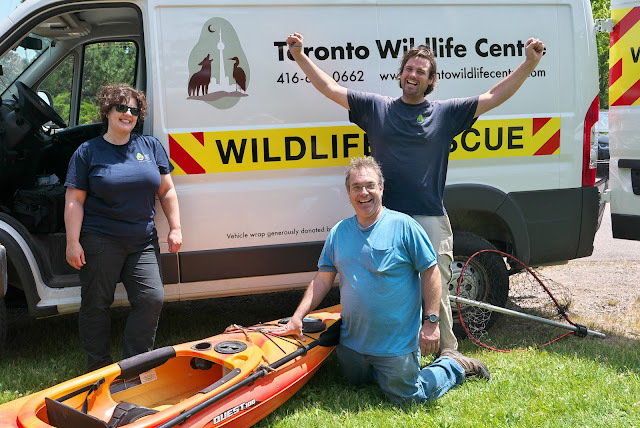 The Toronto Wildlife Centre and the tremendous work they do rely on donations.